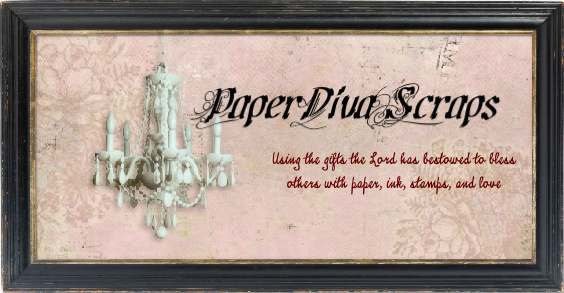 This week on Tammy's Scrappin Corner we want you to "Bling it Up"!!! I colored the digi with colored pencils, blended them a stump with some mineral oil and then filled in with some Copic markers. Her hair was the same but I even added some Strokes of pearl paint. Her wings are filled in with Copics and Stickles. I sprayed the finished coloring with Glitter Glam in Diamond and it has the most beautiful sheen in person, I wish you all could see this up close! I broke out my Cricut to make the cloud which I painted with Diamond Sickles and the orange toned swirls which got dots of Perfect Pearrls Paint in copper. I then cut it out with my Spellbinders and then glitter glue and some rhinestones! 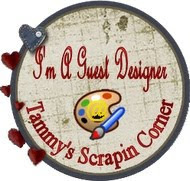 Be sure to stop by Tammy's Scrapin Corner and show us your Blingalicious creations! Super cute card love all the colors - Awesome!!! Thanks for joining us at CI Paints!! What a cute center step card. So glad you joined us for the Make It Sparkle challenge at Pattie's Creations this week. 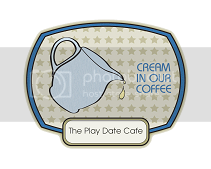 What a sweet card with a really cute image, fab design and pretty details. Very pretty card, I like the soft colors! Thanks for joining the Shop Pumpkin Spice faithful/meaningful sentiment challenge!! I'm loving those glittery wings! 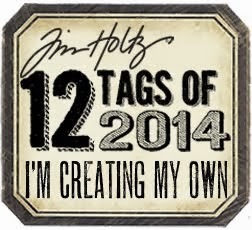 Thanks for linking up to the latest Quirky Crafts Challenge! Don't forget to stop by on Sunday to see if you've won one of our great prizes! Such a sweet card! Love the pastel colors theme! What a gorgeous card...so cute! 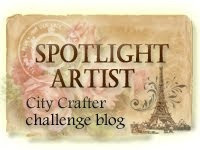 Thank you so much for joining in with my challenge at Quirky Crafts this week. Thanks for joining us at Eclectic Ellapy this week and I hope we see you again soon! 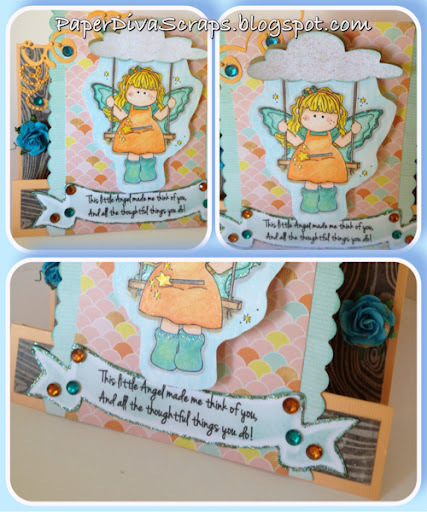 Really cute card Adrienne - love the woodgrain papers and the cloud you added for the swing image. Super sweet and absolutely darling!! Love all the glittery action! 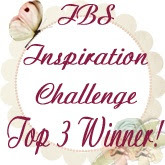 Thanks so much for joining us at Art Impressions' challenge! Such a lovely card. Great design and color combination. Thank for joining us at Paper Crafting Journey!